A full 200 lumens of bright, focused light—12-position head pivots from 60° to 110° to direct light where you need it. 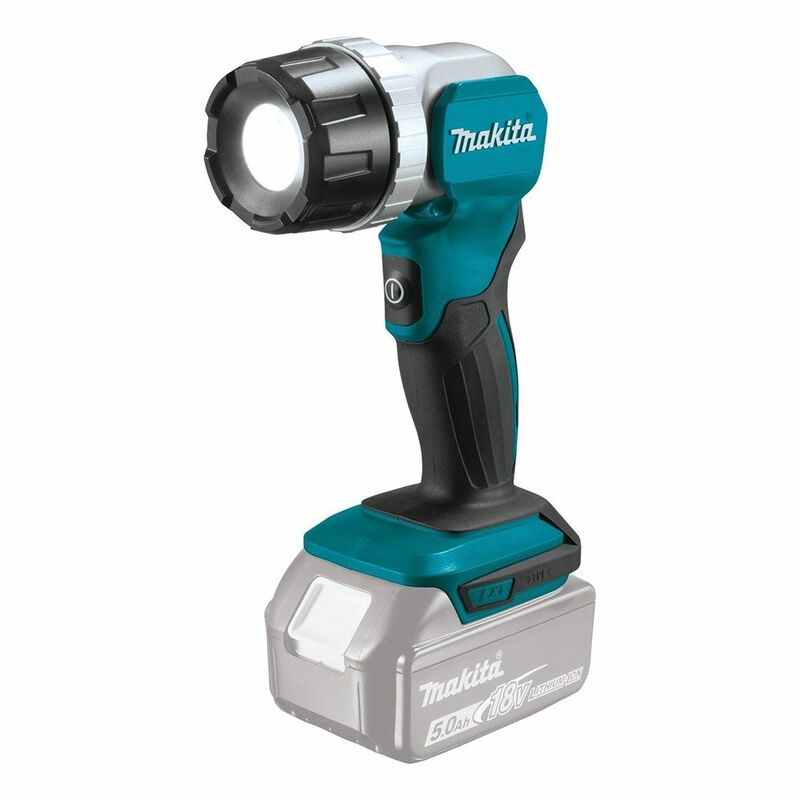 Makita's 18V LXT® Lithium-Ion LED Flashlight (model DML808) provides a full 200 lumens of bright light and a sharp, round spotlight. Features include a beam adjustment from spot to flood, and a 12-position pivoting head with positive stops from 60° to 110°. When used with a fast-charging 18V LXT® Lithium-Ion 5.0Ah battery (sold separately), the flashlight delivers up to 23 hours of continuous illumination on a single charge. Added features include an aluminum head for increased durability and a metal hang-hook. The flashlight has a slim, compact design at 11-3/4''L and weighs only 2.5 lbs. (with 18V LXT® battery, sold separately). 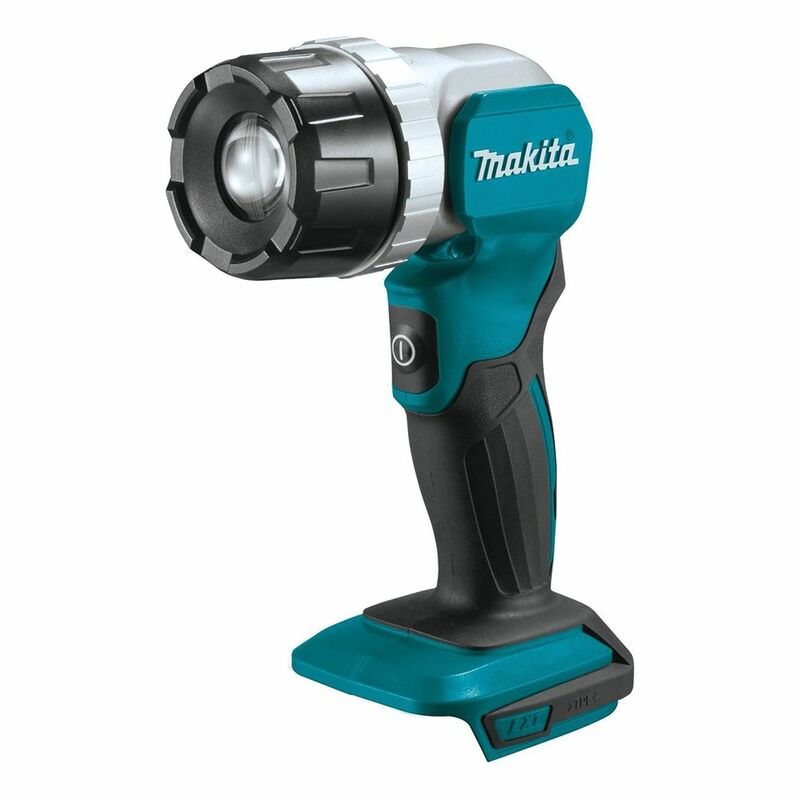 Powered by Makita 18V LXT and 18V LXT Compact Lithium-Ion batteries (sold separately). Net Weight (with battery): 2.5 lbs. My son recommended this as a Christmas present for him.